The Humane Party’s Economic Transition Team has completed its report on live animal trade in the United States. The purpose of this report is to put together for the first time in one place the vast United States live animal trade industry data. It is meant to highlight the number of animals from all species who are both exported from and imported to the United States. The report also seeks to document the more than $3.5 billion U.S. industry that is the live animal export and import trade and to draw attention to the countries in which this trade is occurring. Furthermore, this report cites the differences in transportation times, methods and effects on the well-being of the traded animals. After reviewing all sources of data, it is concluded that the United States is one of the leading countries in the world in the live animal trade industry. In total, the live animal trade industry for the U.S. exceeded $3.544 billion and ‘traded’ 119,070,845 animals in 2016. In many cases the United States exported the same animals whom they imported, resulting in unnecessary trade of individual species. The live animal trade industry in the United States is not merely value generated with numbers of animals moved. It is the exploitation of the lives of individual animals. The route can be long, stressful and perilous for these sentient beings. The animals, whether imported or exported, are subjected to lack of rest, water, food, space and to unsanitary conditions. They can experience high mortality rates, due to adverse weather and extreme high and low temperatures. The United States sets a limit of time—28 hours by land or 36 hours by sea—where an animal can go without food, water and rest. Canada, the country from which The United States imports almost all (95.6%) of its animals, allows 36 hours for pigs, horses and poultry, 48 hours for goats, sheep, cows and buffaloes, and 72 hours for baby chicks of all species to be without food, water or rest. In comparison, The European Union, with which the U.S. trades in some capacity, requires that all animals may be transported a maximum of 14 hours without food and water, horses only eight, and pigs must have access to water during the entire duration of their journey. In addition, the United States exports: horses, cows and calves, pigs, sheep, goats, buffaloes, rabbits, camels, alpacas and llamas. In addition, the United States imports: primates, buffaloes, horses, sheep, goats, rabbits and bees. The Economic Transition Team felt it was important to highlight not only the numbers and values of animals ‘traded’ but the transportation time differences as well. 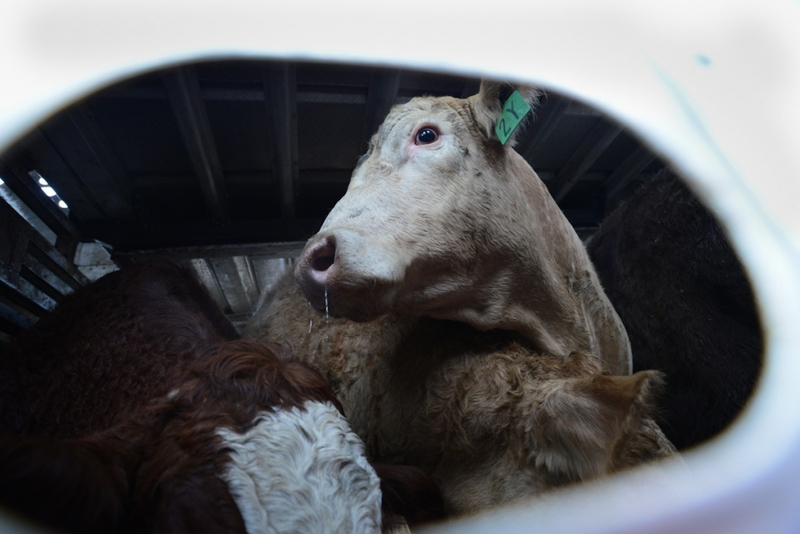 It is believed that the transportation times are a benefit solely to the industry and not to the animals partaking in the journey against their will. And, depending on the country involved, the transportation times are vastly different based on the distance of the marketplace. It is also important to note that the rules and regulations for the transportation of live animals, which can all be found in the sources of the report, were written under the guidance of each country’s governmental veterinarians. Without a doubt, this is an egregious example of animal exploitation in the United States. It is the Humane Party’s and ETT’s ongoing mission to end this type of industry now and forever.